Content marketing: You may have heard that it’s the holy grail of online commerce. There’s power in providing information, nurturing your leads and then getting them to act fast. All of this can be done through content. All of the promises that you have heard regarding online marketing are true, but you might be missing out on them. If so, you’re not alone. There are many misconceptions about how content marketing works and why you may have missed the mark. This article aims to give you better insight into why some websites succeed while others fade into obscurity. Here are our top five reasons why the style of marketing you were told about may actually be costing you leads. There are a lot shiny objects to distract you when you’re operating a business online. The distractions can cause you to lose focus on what’s most important. Are you truly a specialist at what you do, or are you marginally getting by? You have to ask yourself these questions because mastering a niche may require years of commitment. The first stage of presenting a business in a successful light is to present that business as a subject expert. Content marketing works because it gives you a chance to give readers effective solutions without an exorbitant price tag. Provide content that showcases the expertise of your brand and the future solutions that you can provide. Take a look through any search engine that you can think of. You might be surprised to find that there are few areas to innovate within. This doesn’t mean that innovation is impossible, but what it does mean is that original ideas are hard to come by. You might have heard that redoing old ideas is a good angle, but this is only true in a niche. If a niche is popular, it means that concept is in demand. You then want to learn all you can in order to challenge the status quo. Challenge what people know about the industry you work in, and set new standards. Simply redoing the many things that have already been done will ensure that leads drop off from your webpage. Content marketing doesn’t stop after you have published content. There’s a misconception that you have to simply build it, and then they’ll arrive. A great website is only as good as its promotion. Your website needs to be shared. The more people that arrive, the higher that it will rank online. Traffic is one of the strongest ways to improve ranking. Be sure to share your URL by having a backlink strategy. Find as many websites as you can, including social media sites, to publish your links on. Talk about what your site offers, and get people involved. Tell them to come visit and partner as a guest blogger. Do this until you get the word out. Advertising and public relations are effective because agencies know that the average consumer is more complicated than what meets the eye. You have to know everything about your leads. This all begins with research. Being an expert within your niche will require the same energy and exertion as being an expert in your leads. It’s not enough to “be one of them.” You have to gauge all of the data from demographics, down to age and what they’re eating for dinner tonight. Knowing these things allows you to create irresistible content that relates to them. Ignoring your website’s SEO will only result in mediocre results. Effective content marketing requires diversity, and using SEO is one of the most powerful tools you have access to as a content marketer. Don’t ignore it if you want your leads to stick around. That being said, you’re going to want to lean on white-hat SEO tactics is going to be exceptionally important. While you might not want to focus on SEO, you don’t want to use any black-hat SEO tactics to cut corners, and instead seek marketing from other businesses if you don’t trust yourself to do it. It is essential for entrepreneurs or business owners to understand the value of a Google My Business page. This page helps increase growth and also creates value for your brand. You must have in-person contact with customers during stated hours but season businesses and ATMs, video-rental kiosks and express mail dropboxes are exempt. Beware of claiming a business listing without express consent from the business owner. Never make false or unrealistic claims and be ethical in your business tactics. Google My Business is free and helps customers find your physical location. It is a way to track website traffic and gain some customer insight so make good use of this great benefit. 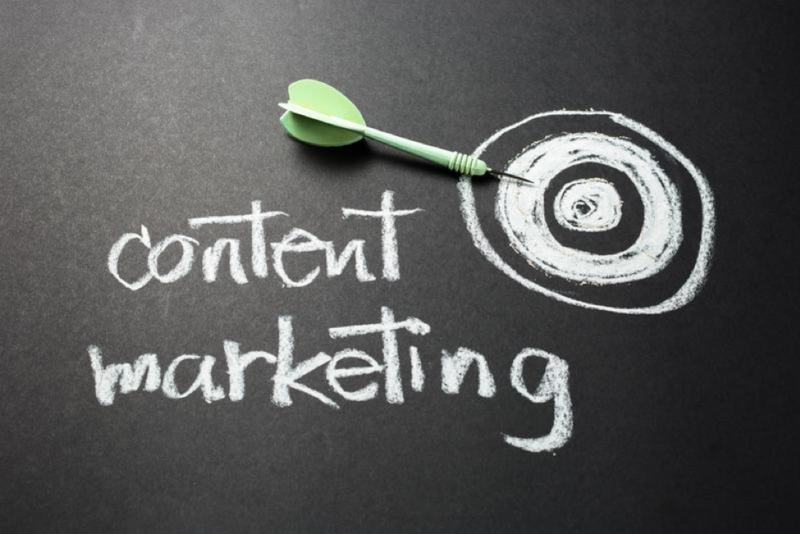 Keeping your content marketing effective requires ongoing work. If you aren’t seeing the results that you want, then there are likely mistakes that you’re making. Consider the obvious, avoid the trivial, and try something that hasn’t already been done. There’s great power in content, and now you’re in the position to soar like never before.